This Upright Vacuum Cleaner from Koblenz features a HEPA filtration system that filters the air before it reaches the motor for a longer motor life. Convenient on board tools include hose, wands, dust brush, upholstery tool and crevice tool. 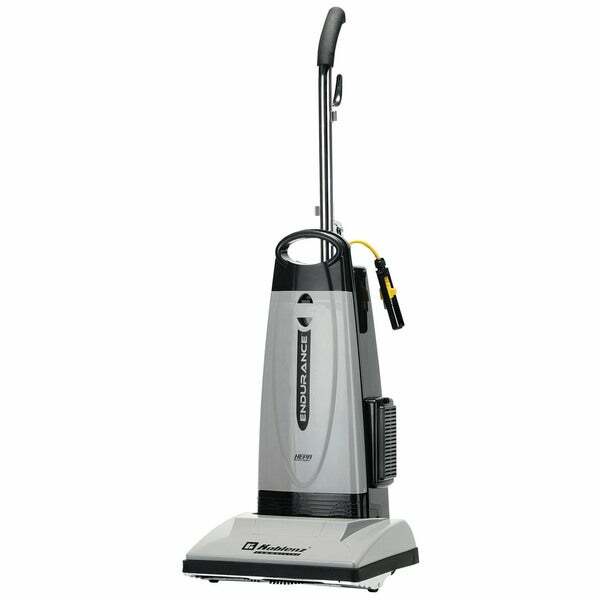 It features a 14-inch cleaning path, easy access to belt and brush, replaceable bristle strips, and automatic height adjustment for any carpet pile. Also features a carry handle for easy transport, ABS construction, metal handle, brush roll and bottom plate and grounded 50-foot safety yellow line cord. Need a professional vacuum cleaner to replace our Panasonic Vacuums which are no longer being made/sold.